Email: CaptainGenchoJr@gmail.com Full time local fishing guide with 26 years of experience. Fishing one to six people aboard my 24 foot Carolina Skiff. All bait, tackle, and gear is included. Using both live and artificial baits. Fish targeted are reds, trout, drum, snook, flounder, sheepshead, and mangrove snapper. Fishing from South Bay to three Islands and the Brownsville ship channel. No experience needed. Five hour, eight hour and all day fishing trips available. Take up to four persons. Everything furnished but food and drinks. 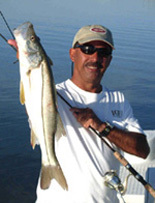 Web: FishingAdventuresSPI.com Bryan Ray has been a licensed captain and fishing guide around South Padre waters since 1974. He is one of the most knowledgeable and dependable guides you could ever hope to find. With his grand sense of adventure and great personality you will be sure to enjoy a fun day catching fish in the Laguna Madre and around the jetties. Many of the captains and guides around the island started their careers working for him. He is one of the most well-known and respected captains on the island. 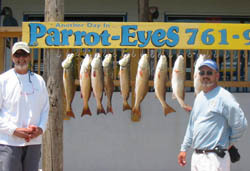 Specializing in tarpon, snook, redfish, trout and flounder in the bay. Also inshore fishing for tarpon, kingfish & sharks. 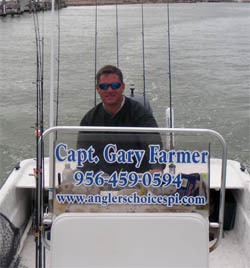 My name is Jeff Hartung Jr., I am a USCG licensed Captain and a Texas Parks and Wildlife licensed fishing guide. I grew up fishing along the South Texas Gulf Coast, and have become very familiar with the area waters and fish species. I became a fishing guide to pass along my knowledge, experience and skills to others who enjoy fishing. I have been fishing the South Padre Island area exclusively for many years, both offshore and in the bay. I also specialize in targeting Tarpon around the jetties and along the beach of South Padre. My offshore boat is a 28’ Pursuit Express with twin Yanmar Diesels. The boat is very smooth, dry and eats up the offshore slop we can get down here certain time of the year. It has spray curtains around the front to keep you dry and warm if the weather turns rough or nasty while out fishing. Its large enough to fish 4 people comfortably and could fit up to 6 people. For the women, the boat does have a toilet inside the cabin if needed. Shallow water custom sports fishing at it's finest. Ranging far and wide covering the Laguna Madre with all its natural splendor. Departing from South Padre Island or Port Isabel, your choice. We customize your trip to exceed your expectations, be it on the fly rod, spinning with top waters, bait casting with plastics and all forms of great natural bait fishing. All bait (lures),ice and tackle are supplied. Your trip can be scheduled from 5 to10 hours. We are more than happy to help with your accommodation arrangements and we have a wealth of local knowledge. It is our goal to offer you a fishing experience that is both productive and memorable. Families are always welcome. Web Site: http://www.blasttocast.com/ I specialize in drift fishing and sight fishing for redfish, trout, flounder, and snook with artificial and/or live baits. I also offer duck hunts in the Lower Laguna Madre, typically the duck hunting season starts in November and goes through January. Combo- duck hunts and bay fishing can be arranged during this time. Amateur to avid anglers are welcome year-round (including kids and families). Please visit my website at www.BlastToCast.com for more information. Web Site: www.fishpadre.com In 1986 Eddie became a fulltime fishing guide and has spent most of his time on the water finding fish and helping others learn the sport and appreciate the natural surrounding. 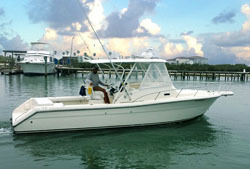 Eddie fishes form a 2011, 24' Shallowsport Sport with a 225 hp SHO Yamaha engine. 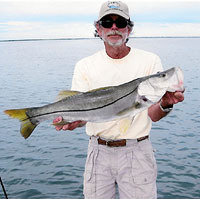 He target snook, redfish, trout and founder in the Lower Laguna Madre and South Bay. Smitten by the great outdoors and bountiful nature in the area it was only natural for him to become a professional sportsman and guide. In 1986 Eddie became a fulltime fishing guide and has spent most of his time on the water finding fish and helping others learn the sport and appreciate the natural surrounding. 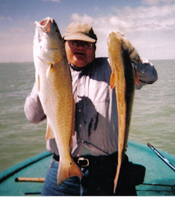 Web Site: www.CatchTheFishCharters.com Skipper Mock has been a professional fishing guide in the Lower Laguna Madre since 1982 and has been fishing almost all his life. 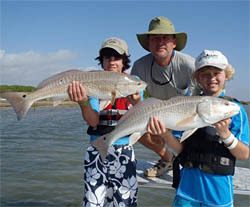 The Captain's favorite approach is specializing in catching redfish by sight casting when conditions are favorable. Using artificial lures only, Captain Mock fishes for trout, redfish, flounder and snook, depending on the conditions and angler preference. His main objective is for everyone on the boat to have a pleasurable, memorable experience, no matter what the catch is. Captain Mock will also fillet the fish for an added personal touch. Web Site: www.spiFishOn.com Capt. 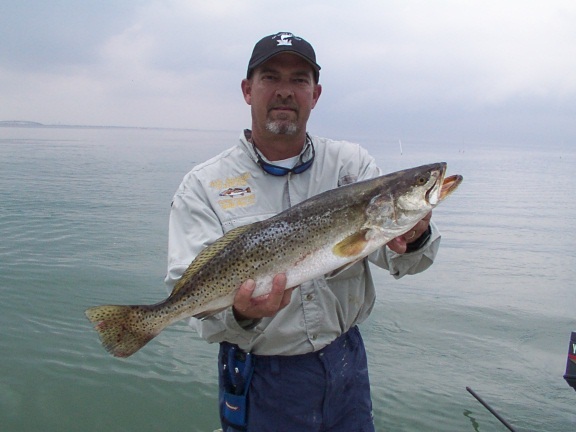 Craig specializes in light tackle angling for trophy trout, redfish, snook, and flounder on the Lower Laguna Madre. Craig’s 20 plus years of experience make him one of the most successful full time guides on the bay, fishing over 200 charters per year. Craig’s versatility allows him to enhance your experience on the bay whether it be artificial, live baits, natural baits, or on the fly. Capt. Craig is the 2008 LKT Grand Champion, 2008 Top Guide Redfish Rodeo, and the 2008 Champion of the Jim’s Pier Legends Tournament all on the Lower Laguna Madre. Capt. Craig runs a 2008 23ft. Explorer Attack-A-Flat powered by a 2008 Yamaha HPDI 200hp. His equipment will get you to the shallowest reaches of the bay fast and home smooth, safe and dry. All tackle furnished. Half day, full day, and all day trips available. Families and children are encouraged. Capt. Craig fishes from 1-5 anglers. 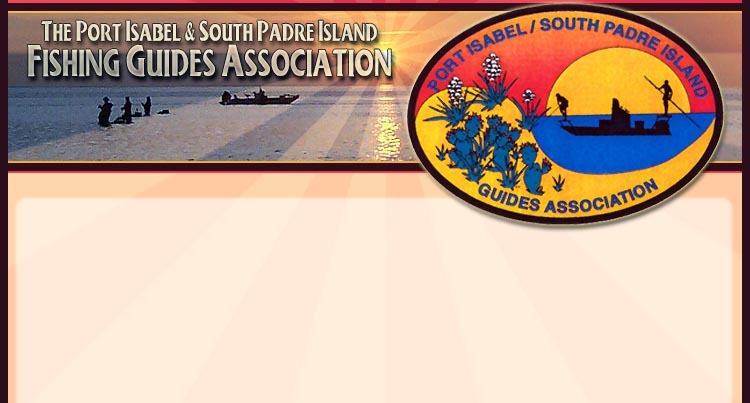 Full time guide serving Port Isabel & South Padre Island on my 24 ft Carolina Skiff. There is plenty of room and a safe ride for up to 6 people. Fishing gear, bait, & ice is provided. We will fish for trout, red fish, flounder, mangrove snapper and more, using live bait &/or artificial lures. Come share this great experience of the place I grew up in, the beautiful Laguna Madre! Children and "first timers" encouraged. Please visit our website for pics & prices! 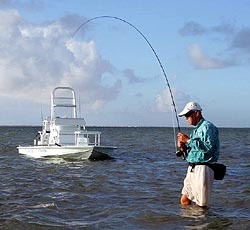 Web Site: www.islandoutfittersspi.com I specialize in fly-fishing and light tackle angling. Catching fish on the fly is my passion. The hunt, the stalk, the presentation and then the hookup all lead to a thrill that will burn itself into memory for years to come. We also teach fly-casting and fishing for those that want to learn the art. With package deals for lodging, food, lessons, and fishing trips all included. Learn to cast in the wind, what lines to use and where and also what flies are best in different circumstances. Give us a call for your custom package designed for you and your group. We now have a new home called Island Outfitters, with everything our customers might need for a day out on the water. Stop by and say hi.. 206 West Swordfish South Padre Island, Texas. 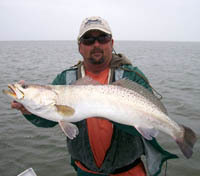 www.tipotexasguideservice.com Captain Bill is a long time Texas fishermen specializing in Speckled Trout and Redfish fishing along with just having fun on the Lower Laguna Madre. 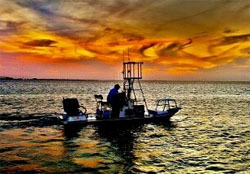 With an emphasis on drift fishing with artificial and natural bait, Tip O’Texas Guide Service offers other services including sight seeing, sunsets and dolphin watching to accommodate vacationers and anglers visiting South Padre Island. Fisher persons of all ability from beginners to expert are welcome. Tip O’Texas Guide Service provides all equipment, tackle, ice, and soft drinks. Fish cleaning and packaging is available upon request. Captain Wm Billy Bough 54 years old, married 32 years with no children, retired from the City of Farmers Branch TX after 27 years of service, fished Cast ''Couples Association of Sport Tournament'', Anglers Choice bass tournaments North and Metro divisions plus Pro/Am on the pro side for over 10 years. Own a condo on the Island and a house in Farmers Branch TX. Capt. Wells is a third generation, fulltime local guide who grew up in a bait and tackle shop. That experience has helped him win and guide more anglers to tournament victories than most other guides combined. Every day on the water is approached with experience and enthusiasm and a commitment to make every angler’s trip an enjoyable, fun and safe one. Half and full day charters to target a species request, whether you’re wanting to take a trophy on top water lures or catch as many or as many or different species as you can with live bait or lures. Both highly experienced fishermen and those wanting to learn the art are welcome. Whether you are highly experience or wanting to learn the art of taking more fish, just ask and the time and courtesy will be given to make your trip a success. Bring the kids along, they are the future. Bait, tackle, ice and drinking water are furnished. Email: paulpadre@aol.com Captain Paul Munarriz, 21 years sport fishing the Laguna Madre for Trout, Redfish, Black Drum, Flounder and Snook. 22' Shallow Sport flats fishing boat with a 150 Yamaha outboard motor. Specializing in light tackle sight fishing with soft plastic lures, and top waters. Sight casting for Reds is a favorite. 1, 2 or 3 anglers max. 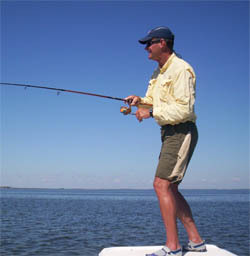 Email: happytide@aol.com Captain Langford has 30 years as a full time lower Laguna Madre guide. Specializing in the use of artificial lures, he will put you on the fish. Live and other natural baits are used on request or when needed. Located at Island OutFitters on South Padre Island.